In a world with an obscene amount of variety when it comes to eating establishments and the menus within them, restaurateurs face stiff competition and consumers are forever spoilt for choice. Household names can’t presume to command footfall simply by existing as the market has been shaken by increasingly impressive independent options in permanent and pop-up locations nationwide. Recognising this culinary conundrum, Gary Goodman realised it was time for a solution and that’s where Yumpingo, the restaurant review startup he’s founded, comes in. Outside of marketing though, Goodman held another fixation that had long been a part of him. “At heart I’m a foodie,” he says. He worked in kitchens in his youth and travelled to cities around the world but faced a hurdle obstructing his love for dining for years. “I was genuinely struggling to find a platform to give me a reliable service to find more food that I would love locally,” he explains. Although there are countless online reviews from people either ranting or raving about places, Goodman found them tougher to swallow than an overcooked steak. “It’s hard to kind of make any sense of that,” he says. Detecting a mouth-watering opportunity five years ago, he picked the brains of those in the restaurant industry for feedback. “It was quite clear that to try and challenge food discovery head on is really hard,” he details, noting that scale of locations is key. “It’s only meaningful if you’re covering the majority of places to eat out in a village or a high street and that can be really hard to achieve.” With business plans stashed away, Goodman’s project was stored for safe keeping though never too far from his thoughts. The concept was revived three years ago during a wine-tinged conversation with Darrell Wade, an old friend and then-COO of TGI Fridays, at one of the US chain’s West End branches. “We talked about what he would do if he had a magic wand in his restaurant and anything was possible – what would he change technically in the environment?” Goodman says. “He looked around the restaurant in Covent Garden and said he would love to see thought bubbles belonging to guests eating food, visualising in real-time what people really thought of their experience.” And so the plans for Yumpingo were dusted off and it was effectively designed to meet the needs of restaurateurs by tapping into the psyche of customers with a one-minute questionnaire at the end of their meals. “Obviously, that process has taken some time to get to a platform that’s stable and growing as we are,” says Goodman. Existing as software and hardware through mobile device management, Yumpingo is shipped in a box to restaurants and handsets only need to be turned on to work, with the WiFi codes embedded within. Of course, it wasn’t as simple when the service first launched. “You need to run fast but you need to learn faster, I think that’s our mantra in business,” Goodman declares. “It means that when we went into service initially, hardware was terrible – it didn’t work. The battery life just didn’t work. The WiFi went out.” Clearly this is one of those classic examples that you live and learn. In Yumpingo-powered locations, consumers are asked whether they want to complete a questionnaire via Yumpingo device when they receive their bill, with the idea they can give honest commentary on the experience and the restaurant can determine whether it was up to scratch or not. 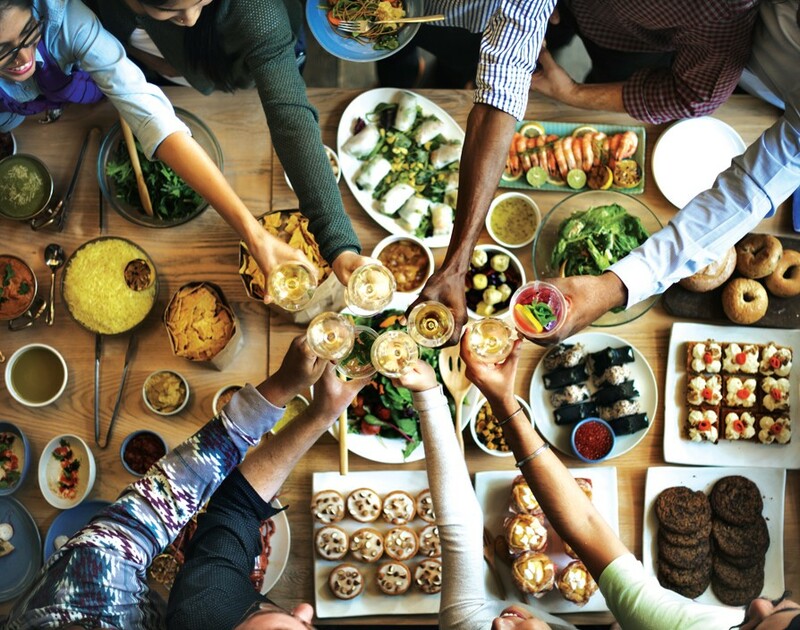 From there, the data can be leveraged in real-time to turn around any errors or capitalise on successes in an instant – the goal is to cater to what Goodman calls “Generation Yum”. “Our appetite, our passion and drive for food knowledge and new food experiences is unrelenting,” he says. “If you think about how we eat today, we all want new experiences and our expectations are higher than before.” To that end, Goodman reasons that it’s difficult for restaurants to “operate in a black hole” where meaningful data is absent. We’ve already established that Goodman is no stranger to knocking on the doors of large firms to effect. So as it stands, Yumpingo has a range of clients signed up to the service, counting well-known names such as Prezzo, Wahaca, Jamie’s Italian and Bill’s on the portfolio alongside smaller independents such as Whyte and Brown, the chicken restaurant and Mac & Wild, the steak and burger spot. “Unfortunately, there’s a whole world of conversations taking place in online review sites without the restaurants being able to take part,” says Goodman, shedding light on the problem as he details the damage bad reviews can cause. “We get from between 4,000 and 6,000 reviews per location per month. That data is, by volume, a game-changer for the industry. It invites depth and enables the industry to understand at a very granular level how to optimise and improve their restaurant and their entire experience.” What’s particularly interesting is this gets achieved without the lure of incentives, which Goodman flatly says he doesn’t believe in. “We’re getting between 150 and 400 live dish reviews a day per venue,” Goodman details. “We can start to give consumers absolute certainty as to what the most-loved dishes are in this restaurant right now. We’re starting to work with some clients on integrating live feed to the service.” He points to the fact there’s a lack of reliability when it comes to online restaurant reviews, which circles back to the pain point he had years ago. In addition to working with big name brands, Yumpingo is backed by some respectable individuals too. For example, Ross Brawn, the Formula One managing director of Motorsports, is an investor that contributed to the foodtech startup’s £1m seed round from April 2018. “He’s probably the most prolific innovator of technology within sports in the last 20 years,” says Goodman of Brawn. “Elsewhere, Goodman knew Steve Parish, the chairman of Crystal Palace FC, from the marketing scene while Tara Donovan, former lawyer for Jamie Oliver who became CEO of the chef’s media group, is a Yumpingo advisor. “She had a great deal of knowledge about how someone like Jamie [and his] reputation is important,” Goodman says. The food lover sees the US as a key area for growth and has already planted some seeds into American soil. A UK-centric deal with Wagamama enabled Yumpingo to cross the pond and enter New York and Boston in spring, as opposed to the team actively seeking to enter the market. However, after being told it would take two years to sell directly to a US firm, he found that to be the opposite. “We went to Dallas to meet some very large brands,” he says of one Stateside meeting, remaining tightlipped on the deal while the ink dries. “Within 45 minutes of being with the CEO and people in charge, they said ‘let’s do this’. The story that seems to be quite compelling, which we build our product around, is that without us, restaurant groups have a lack of visibility.” Breaking down the opportunity before them, Goodman explained that entering just 3% of the US market would amount to 30,000 restaurants and approximately a billion live food reviews in year one. As of 2016, Yelp had reached 100m reviews in 12 years.